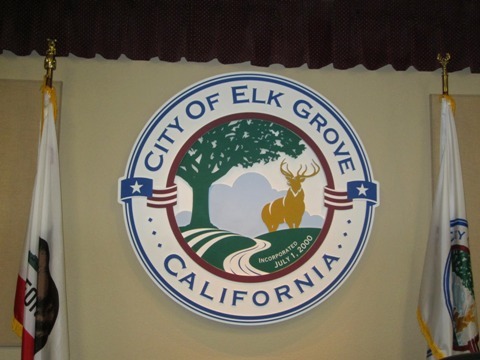 During their regular meeting next Wednesday, the Elk Grove City Council will consider awarding its community development (CDBG) and community service grants (CSG) for the coming fiscal year. According to the staff report, The City of Elk Grove has $794,664 in CDBG and $355,100 in CSF funds for next year. CDBG funds are generally used for capital projects while CSG are used to help fund non-profit organizations. Funding for both are provided by the U.S Department of Housing and Urban development. Among notable groups losing funding this year is the Elk Grove Police Athletic League. Long a beneficiary of grants from Elk Grove, city staff is recommending no funding for the organization this coming year. Last year the EGPAL received $43,000 in funding and sought $46,000 for its projected budget of $226,000. Staff has also recommended a $7,000 grant for the Stockton-based Hmong International Culture Institute. According to the staff report, the HICI sought $26,000 of it's projected $44,500 budget and will use the funds to "Expand Hmong language and cultural programs by offering low-income scholarships, purchasing curriculum and other teaching supplies, and offsetting facility rental costs." According to economic interest statements filed with the Elk Grove City Clerks's office, Elk Grove City Council Member Steve Ly received consulting fee from the HICI last year. Ly's statement listed his consulting fee payments between $1,001 and $10,000. Ly was elected to the city council in November, 2014 and took his oath of office in December. The complete report, along with all the winners and losers in the battle of the grants, can be viewed here. Is the Hmong International Culture Institute not a 501(c)(3)Tax Exempt Organization? I didn't think they could make political donations and retain their tax-exempt status. Someone with more knowledge can maybe answer that question. The consultant fee from the Hmong International Culture Institute paid to Steve Ly last year may be on the up and up. However, just months after he is elected to the Elk Grove City Council, the charity is for city grant money, when they are a charity located in Stockton, and they have never applied in the past, now becomes questionable in my book. I remember when the city turned down a request from Chicks In Crisis (shelter for battered women) because they were based in Galt and not EG. Now the Hmongs based out of Stockton want money so, according to their mission statement on their web site, they can promote the Hmong culture! Give me a friggin break! Battered women don't deserve a grant because the home is in Galt, but promoting the Hmong culture is more important? Get real Elk Grove. You are already the laughing stock of the Sacramento Valley. Here is a link to information reported to the IRS on the Hmong International Culture Institute. Seems in 2013 they raised about $55,000 and spent about $37,000 on salaries, including $11,000 for the executive director. For their beneficial activities, they state "After school classes in Hmong dances and art for children at 10 low-income elementary school in the Stockton Unified School District". I am not too concerned about the Hmong funds if they are spent in Elk Grove. However, this, the loss of PAL funding (I wonder if Cooper was a supporter for them - they do great work) and the previous funding for the Strongest Athlete competition (run by Detrick's son) means that even community grants have cronyism attached to them. With over $1 million to spend, maybe it is time for some independent committee to evaluate projects. I am also curious about how staff recommends different groups. To help clarify this for some of you, this funding was requested for Txuj Ci Hmong School which is in Elk Grove. I would question some of the funding that goes to Elk Grove Public Works for work that should fall under the general budget. We are a melting pot nation and don't need to spend taxpayer dollars (yes the CDBG grants come from taxpayers) singling out one ethnic group to promote their own culture. Next thing you know, Filipino groups will say we want in; Blacks will say what about us; Vietnamese will say don't leave us out; Latinos will say this used to be our state, how come you're leaving us out; and Native Americans will say you've left us out for so long, why bother now--just keep playing our slots and blackjack and leave us alone! Thank you for the clarification. The grants are broken down into two categories. Only $355,000 is allocated for local charities and the $794,000 of CDBG must be used for capital improvement projects which is where the funding for public works projects is allocated. The $794K we received has a strictly mandated use by Federal law. And I believe if we don’t use the entire amount for capital improvements, the money has to be returned to federal government. So taking that $355K and splitting it up amongst all the charities that applied for monies is not an easy task. Many a year, we have heard heartfelt testimony from local charities that requested monies; only to be turned away with no funding. This year, there was $900K in requests and only $355K to spend. I don’t envy the Council here. However, years ago, the Council did state that some of the charities that get monies year after year, while others get nothing, that there will come a time they will no longer receive monies in order to make way for new charities and others that have gone without. That may be the case for the Hmong International Culture Institute, or did they apply because Steve Ly is now on the Council and have a leg up? I think that is a fair question. Of course, in my opinion, the Council pushes for their favorite charities; but they also have denigrated charities as well. Years ago, Dan Briggs denounced Chicks in Crises and they got nothing. The community rose up, taking him to task, and the next year, Jim Cooper fought for that charity and they received their first $5,000. But in all fairness to the great work Inez does, they haven’t received money every year either. Is it not the job of the city manager to vet this? gill is a weenie city manager and does whatever she is told to keep her 200K+ job but the choices are never in the best interest of taxpayers. Ly can't vote on the Hmong charity can he? I would think that would be considered a conflict of interest, especially since he got money from them. So that would leave 4 people to decide if they got money or not. But it seems like the council just does whatever the city manager says they should do. My thoughts...I believe the city should appoint a Grant Review Committee which would include persons not employed by the city, with certain expertise and outside points of view. Applicants would be rated and ranked by each member of the committee. For example...capacity to carry out the project, quality of the project, understanding of the needs of the population to be served, plans for implementing the project, etc., etc. I agree with Warren Buffet, we should never single out one ethic group over another.